Back Row: John Rushe, Paddy Quinn, Dan Dooey, John Devlin, Paddy Mulgrew, Johnny Tohill, Joe Smith. 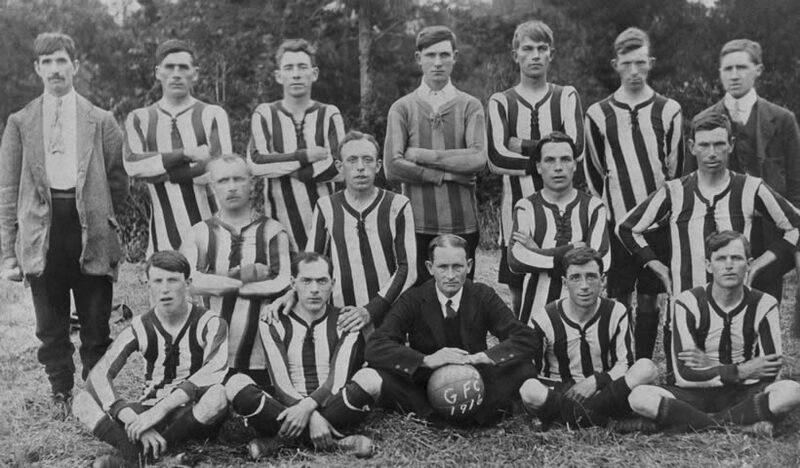 Middle Row: Joe Canavan, Barney Heron, Frank Clark, Peter Corr. Front Row: Fashy Davidson, Paddy Donnelly, Johnny Morrison, Paddy Clarke, Geordie Rodgers.